What has President Obama done for black Americans? Quite a lot, thank you, especially in regard to supporting the completion of degrees in the fields of science, technology, engineering, and mathematics—the fields that are the highest paying and that represent the engine of job growth for years to come. The America’s College Promise proposal makes two years of community college free for hardworking students, and also offers two years at four-year HBCUs and other Minority Serving Institutions or MSIs at no or at a significantly reduced cost. The administration has secured more than $1 billion in private investments for improving STEM education as part of the president’s Educate to Innovate campaign. Thanks to deep public and private commitments, our nation is 50% of the way toward achieving the goal the President set in 2011, of preparing 100,000 new math and science teachers by 2021, and a historic 25,000 additional engineers are graduating yearly compared to the number graduating when President Obama took office. This White House has announced more than 350 commitments from college and university leaders and others to provide pathways for underrepresented students to attain STEM degrees. 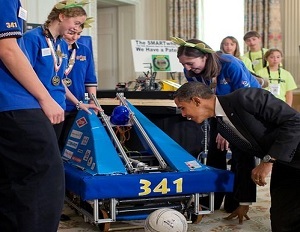 President Obama has started traditions such as the White House Science Fair to honor young people using science, technology, engineering, and mathematics to improve their communities and the world. And in his final budget announced last month, the president sustains this track record with an investment of $3.0 billion across 14 federal agencies for dedicated STEM education programs. The Mathematics and Science Partnerships Program that funds collaborative partnerships between STEM departments at institutions of higher learning and high-need school districts after states hold their own competitions. The Teacher Quality Partnership that improves the quality of new teachers by creating partnerships among institutions of higher education, high-need school districts, and early childhood education programs. 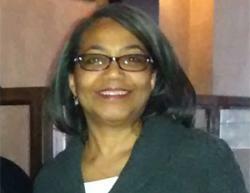 The Minority Science and Engineering Improvement Program that assists predominantly minority institutions in effecting long-range improvements in science and engineering education programs and in increasing the flow of underrepresented minorities, particularly minority women, into science and engineering careers. The Upward Bound Math-Science Program is designed to strengthen the math and science skills of participating students. The aim is to encourage students to pursue postsecondary degrees, and ultimately professions, in these fields. Does President Obama Support HBCUs?